Christmas has definitely come early for iRacing users, as probably the biggest build of the year has made its way into the public! Two new Formula cars have been added to the sim in the forms of the Dallara F3 and the Formula Renault 3.5. Two tracks also made the cut. Firstly, there is Charlotte Motor Speedway, expanding iRacing’s repertoire of oval tracks even further, and there is Tsukuba Circuit (available in 7 layouts), having been announced over six years ago. 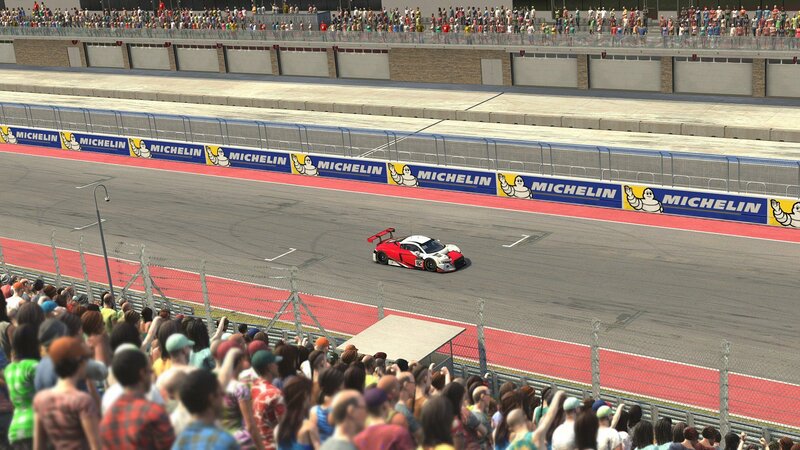 The wait was worth it though, as Tsukuba will be free for all iRacing users to use, just as Charlotte Motor Speedway. By the way, fun fact (and class act), returning the favour of Polyphony Digital including the iRacing banner at Tsukuba Speedway in Gran Turismo Sport, iRacing will feature a Gran Turismo banner as well! As per usual, new content does not come alone. Example? The crowds have been reworked! See below, for all that has changed in iRacing. – A new Home section has been added featuring the latest news, promotions, and popular Official and User-Created Races. 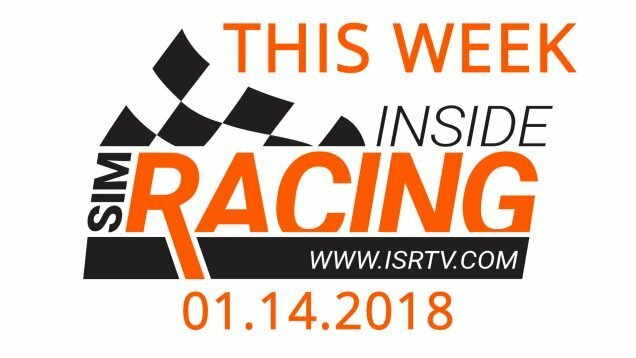 – – Read news articles and announcements from iRacing. – – View available series and sales promotions. – – Join the most popular Official and User-Created Races all from one place. – The Leagues section of the iRacing BETA Interface has been unlocked! – – Full league management functionality, as on the Membersite Leagues pages, is now available through the iRacing BETA Interface! – A new Help and Support section has been added to the status bar with information and helpful links to support. – The Create a Race interface has been improved. – – First, a user will be able to adjust the Car, Track, and Climate. Then, all Race Details are displayed together on their own page. A user may move back and forth between these sections as needed. – – New “Reset” and “Last Settings” buttons have been added. – – – Reset will clear all selected content and settings. – – – Last Settings will load the last successfully hosted session information to all fields. – Active Sessions are now visible for User-Created Races. A user may Spectate, Spot, Crew, or start a Time Trial any Session that is actively running. – – Viewing Active Sessions can be toggled on and off. Click on the “Show Running Sessions” toggle next to the view buttons. – Test Drive is now available as an option from any Session. – – A Test Drive button will now always be displayed for all Sessions, which will launch a Test Drive session using the information from the session you are viewing. This includes all Official Races and all User-Created Races. – Season and Series ID is now visible in the interface. – – Click on a Series, then click on “Series Info” to view this information. – The track list will now by default only display the list of tracks, instead of a list of all tracks and all of their configurations listed out. Once a track is selected, you may select an individual config. – – An option has been added so that you may toggle between having the track list display the list of tracks or having the track list show all tracks and all of their configurations listed out. – The status bar at the top of the screen now features a tinted background for ease of legibility and use when the Interface is scrolled down. – The iRacing Paint Shop within the iRacing BETA Interface should now be better at remembering when changes are made to cars. – The iRacing BETA Interface now has an active display of all authenticated connections for your account, with verbose information about the connections, and the ability to manually disconnect remote, active connections. – The settings panel now has a button to sign out your authenticated connection, plus all other (in)active connections, whether remember me has been selected or not. – Page content will now fill more of the screen when the interface is scaled to 150% or less. – – This should improve the display of the iRacing BETA Interface on 27″ monitors. – Fixed an issue where dropdown menus could appear under other content. – Fixed issues where “invalid date” would display, or the year listed would incorrectly be 1969. – Fixed an issue where the user was not returned to the last page they were on after exiting a Session. – Fixed an issue where switching to/from table view and grid view, the Interface was not remembering which view a user was using the next time they returned to that page. – Fixed an issue where the Interface was not remembering whenever the user chose to order content a certain way after navigating away and returning. – Numerous other stability fixes; the iRacing BETA Interface should run smoother than ever! – The iRacing Membersite has been updated to allow for editing Sessions created via the iRacing BETA Interface. However, the user will be unable to edit settings that are only available when creating a Session through the iRacing BETA Interface. – – Sunrise and sunset times will be displayed for all sessions. – – Simulated start time will be displayed in the Session Info for Official and Hosted Sessions, and in the Race Results. – A new and improved banner has been added to the top of the Membersite to launch the iRacing BETA Interface! – Fixed an issue in the shopping cart where the hyperlink of a track added to your shopping cart from the iRacing BETA Interface was not linking to the proper track. – We have added a new feature which allows us to schedule Special Event Races for a Series within the normal season schedule. Each special event is a stand-alone racing event, and entry is based on championship points within the series. Championship Points awarded from such an event are not integrated back into the Series. – – We could, for example, schedule a single split race, that would be populated by drivers with the top N in Championship Points, either for a given race week, or the overall season. Or, we could have a “Week 12 Pro Race” automatically built into any given Series for the top 40 drivers, based on Championship Points in that Series during the Season, who show up for the given race time slot. The top 40 who show up based on season points would race. – – Championship Points earned from Special Event Races are stand-alone, and are not part of the regular Series standings. – – We will likely be demonstrating this feature during Week 13, and it may even include some prizes, so, stay tuned! – Initialization of a track on the client is now influenced by how many laps have been driven (including carry-over between sessions). This will enable clients to enter a session without causing a dramatic change in the track appearance as the server updates come in. – The maintenance of track temperatures between sessions, such as the heat added from cars during a Qualify session, will now carry-over and dissipate through the passage of simulated time between the end of one session and the start of the next. – – Previously it was assumed that enough time existed between sessions for the track to return to its equilibrium state at the start of each session. – – You may directly influence this through the new Day/Night & Time of Day settings. For example, setting your events to run consecutively will create more vehicle-generated heat buildup throughout your event than having each session start four hours after each other. – The Simulator now generates dynamic skies that change as time passes. The sun’s motion in the sky is accurate for the selected event location, date, and time. As the sun and cloud cover move, the lighting in the simulated environment changes to match the sky. – – The generated sky will change as time elapses for all Sessions of all types, except for old Replays, Time Trials, and Time Attack Sessions, where conditions are frozen by design. – The shadows cast by static objects, such as buildings, trees, and grandstands, now move over time to match the sun’s angle. – – These shadows also influence the dynamic track’s temperature where they are cast over time. – Regular Season and Hosted events now specify a specific starting date and time for the event. – – A user may only select a day of the year for the start of an event that is within the normal range of dates during which the real-world track would be open for on-track activities. – – – The default starting date for a Hosted session is a reasonable date in late Spring. – – Each Session within a Regular Season or Hosted event (Practice, Qualify, Race, Heat, etc.) also has a specific start time within a 36 hour window relative to the starting date and time of the event. For example, you may create a Hosted Session that features an early morning Practice, followed by a twilight Qualify, followed by a sunrise Race. The default option is to run each session consecutively, so that as soon as one finishes, the next one will begin in real-time. – – For Heat Racing Sessions, a user may only specify the specific start times for the first Session within each block of sessions. For example, you can specify the start time for the first Heat race, but not for each subsequent Heat race. A user may also specify the start time for the first Consolation race, but not for each subsequent Consolation race. – When selecting the date and time for an event, the local time zone for the selected track is used. – – Daylight Saving Time adjustments are taken into account when specifying the event start date and time. However, if a session runs through a time change point, the in-session date and time clock will not adjust for this. – Event starting times may still be specified using generic presets: Sunrise, Morning, Afternoon, Late Afternoon, Sunset, and Night; or a user may specify a precise time at the track, such as 3:30pm. – – When using the generic presets, the event start time positions the sun at a specific altitude above the horizon to match the generic term. – – – Sunrise sets the start time such that the sun begins about 0 degrees above the eastern horizon. – – – Morning sets the start time such that the sun begins about 20 degrees above the eastern horizon. – – – Afternoon sets the start time such that the sun begins about 58 degrees above the western horizon. – – – Late Afternoon sets the start time such that the sun begins about 15 degrees above the western horizon. – – – Sunset sets the start time such that the sun begins about 0 degrees below the western horizon. – – – Night sets the start time such that the sun begins about 20 degrees below the western horizon. – Tracks that have night lighting (ie: any of the iRacing tracks for which a user has been able to select a “Night” event at before) will switch to “Night Mode” during the sunset/twilight phase, and the stadium lights will switch on. These lights will turn off during sunrise. – – Tracks without night lighting will still function using the Day/Night & Time of Day system, however they will get darker and darker until they are nearly pitch black. We do not recommend driving cars without headlights at these tracks past sunset. – – – As a special bonus, with this 2019 Season 1 Release, Circuit des 24 Heures du Mans has been updated to feature Night Mode! – The speed at which the sun moves across the sky may be altered. – – For example, an entire simulated day can occur within a 3 hour session. This “accelerated time” only affects the sun itself and how it changes the temperature of the day or night. Weather, cloud cover, etc. are not effected by the accelerated time. – – When creating a Session, you may specify 1x, 2x, 4x, or 8x speed for the sun. Please note, the track surface temperatures may not keep up as accurately with a highly accelerated sun as they would at normal speed. – The Simulation will display the simulated day of the week and wall-clock time in the F1 Black Box, and it will display the simulated date and time on the Replay screen. – – While in a session where the sun’s motion is sped up, the wall-clock date/time values will advance at the appropriate rate, and will include the appropriate “2x”, “4x”, or “8x” sun-motion-factor indicator. – – In Time Trial and Time Attack Sessions, since the sun position is fixed, these simulation-world date/time values are also fixed, and will include a “0x” sun-motion-factor indicator. – Clouds now cast shadows, and these shadows update dynamically as the clouds and the sun move as time passes. Each cloud shadow effects the dynamic track surface temperatures. – – When using Specified Weather for an event, the event will start at the specified temperature, but may drift up or down a few degrees depending on the time of day and the duration of the session. – – Please note, when building fixed racing setups, expect at least some track and air temperature variance during sessions. – Temperature, relative humidity, wind speed, and other weather values will change as time elapses during a session. – – Currently, these changes are very minimal, and using Generated Weather will allow for slightly more variation during a Session than using Specified Weather. A new weather system is currently in development which will allow the sky conditions to change during the session (ie: clear to overcast, etc,) and will result in far more dynamic weather throughout an event. – New “Sky Detail” Graphics Options have been added! – – These settings control how many frames are used to update the sky. Low Detail spreads the work out over more frames, so the sky updates may appear jumpy, but the frame rate will be higher. High Detail does more work per frame so the updates are more frequent, but this can adversely affect frame rate. Medium Detail is an average compromise. – You must use the iRacing BETA Interface in order to access all of the Day/Night & Time of Day settings that are now available. However, the system will still operate correctly in Sessions created and joined via the classic Membersite. – Old saved Replays will now load up with a generated sky instead of the static skyboxes of the past. The sun position and sky conditions will attempt to match the conditions of the original replay to the best of their ability, within reason. The sky will then remain fixed while the Replay runs. – The Auto-Start Aid is now optional, you can turn it off if you want to manually start your engine when you get into the car. This will be forced to OFF if you map your ignition to an ON/OFF toggle switch. – The Auto-Start Aid and Auto-Clean Visor Aid are now allowed when using Touch/Tilt Driving. – Track-config specific setups have been added to a variety of the Rallycross vehicles. – The PID auto-deployment system now re-calculates the control variable (EOS % offset) multiple times per lap. – Adjusted the hybrid system to include the manual deployment offset that compensates for the requirement of a non-zero base value from the refline calculations. – Updated the refline calculations for hybrids that reduces placement of end-of-straight markers due to cornering drag. The system needs to see 6 consecutive segments with a drop in speed before it will place an EOS marker. – Additional updates to the auto-tuner. The aim with these changes is to achieve greater stability – slower to converge, but less variation once it gets there. – PID parameters changed for faster but more stable convergence to target battery charge %. Also, % end-of-straight speed multiplier capped at a maximum value of 1.1. – Updated the engine system to account for the Porsche 919 harvesting more energy than it may legally deploy at Le Mans. – Fixed a bug where the battery state of charge was not correctly being carried over between driver changes. – The crowd system has been rebuilt from the ground up to significantly improve both appearance and performance. In the previous system, crowd members would only be seen facing the camera directly from the front or directly from the rear. With this new system, crowd members now render from 360 degrees and face towards the racing action, rather than towards the viewer’s camera. – Each crowd member is rendered from a high fidelity 3D model to a texture with four times the amount of pixels than previously. This results in a crisp, high resolution appearance with accurate normal maps and lighting in the Simulator. The variety of crowd appearance has also increased, with over 33% more unique people than before. – Each crowd member is also now an instanced object, and each race fan takes advantage of this technology to reduce their memory usage and rendering time. – The texture size for all helmet patterns has been increased from 512×512 to 1024×1024. – Radical and SimSpeed sponsors have been updated. – All in-car controls not currently in use will no longer be displayed in the Options screen. – – A Sky/Cloud Detail setting has been added to the Options screen. – – The Virtual Mirror setting has been removed from the Replay Options screen. – – The Far Terrain and Tri-linear Filtering options have been removed from the Options and Replay Options screens; these options are still available for adjustment in the “.ini” file. – Support has been added for mapping an ON/OFF switch to some toggle controls, that is a switch that remains ON or OFF rather than just a momentary toggle. – A checkbox has been added to the Option Screen to disable the Auto-Starter Aid that starts your car when you enter the driver’s seat. – – By default, this checkbox is OFF. – – The ignition will no longer fire when you trigger the starter, a driver must manually turn on the ignition if you want to run the starter. – – – The Default Ignition option is set to OFF if the Auto-Start is disabled. – Support has been added for the new QAxis control type. This is a rotary knob that acts as a sequential series of buttons. If the knob has more positions then the states in the item we are attempting to control then each detent on the knob will be mapped 1:1 to the states. – – For example if the throttle map has 3 possible options, but your knob has 12 positions, then positions 1, 2, and 3 will adjust the throttle mapping, rather than forcing you to rotate the knob through its full range as you would with an analog knob. If there are more states then positions for the knob, then we will spread them out as best we can, skipping some intermediate states. – – Any hardware developer wanting to add a QAxis knob to there controller needs to ensure that the button defines are in sequential order. So a 4 position knob could use buttons 12, 13, 14, 15, but could not use buttons 12, 14, 13, 7. More details on this will be posted to the hardware forums. 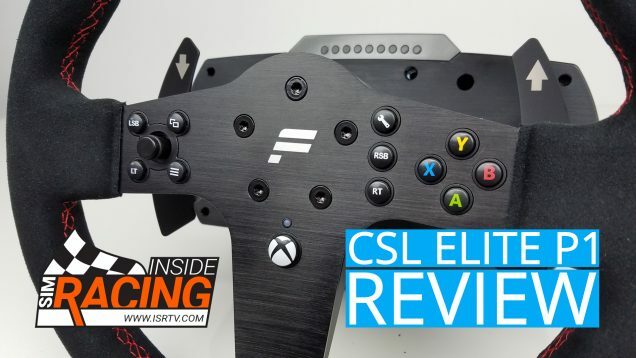 – – The Fanatec CSL Elite McLaren GT3 rim is currently the only rim that ships with support for QAxis rotary knobs, however new rims are expected to be released later this year. – A calibration wizard has been added to the in-car controls to simplify the process of setting them. – All F7/F8 black box widgets now have a corresponding map-able control. – Control calibration improvements have been made, including the enforcement of expected control type when calibrating. This will prevent users from mapping a button to an analog slot by accident. – Admins are now allowed to throw a Caution, even when the event has cautions set to “OFF”. – – For all intents and purposes, this option now means that when cautions are turned off for an event, iRacing Race Control does not throw Cautions, but an Admin may. – The force feedback setup screen has been reorganized to better support direct drive wheels. – – Force units have been rescaled so that linear and non-linear are using the same unit scale. – – Clicking on the Strength value will toggle between iRacing units and Newton meters. – – A new Wheel Force slider has been added. – – – Set this to the peak force of your wheel to help keep the auto function from overdriving your wheel. This also rescales the strength slider so you can not manually oversaturate the wheel on accident. This is only beneficial for users with wheels that are as strong or stronger than the force feedback we are getting from the physics (about 10 Nm or greater), so do not worry about setting it perfectly if you have a belt or gear drive wheel. – – “Dampen Oscillations” has been renamed “Reduce Force When Parked” to better reflect what this option does. Also, the default value for this setting has been reduced to 33% from 50%. – – The default endstops have been softened from 15 degrees to 45 degrees. – – A hard knee has been added that reduces forces above 80 Nm by 80% and clips forces above 120 Nm. – – – This should make running into a wall safer without completely destroying the signal. – – Mouse-over tooltip help has been added to all force feedback settings. – Helper text for racing wheel settings has been updated. – A pair of settings have been added in the [Replay] section of the “app.ini” file to control how many seconds from the end of the tape Replay playback begins when exiting the car. One setting is for driver swap events, and the other is for non-team events. – The “FF to End” behavior has been optimized to reduce system load, and to maintain Live Mode viewing when a new session begins. – Rift HMD 1.3.2 support has been migrated to Oculus SDK 1.26.0. – A new version of the EAC application has been integrated into iRacing. – Users may now adjust the lengths of bump rubbers on the heave elements. – Reduced the maximum packer length for the front heave element to 40mm. – A compressor shift sound will now trigger every time there is an up-shift from Neutral to 1st Gear. – Brake Bias may now be adjusted in the garage during events with Fixed Setups. – On-board audio improvements have been made to the engine, gear shifts, backfires, and ignition sounds, and a new pneumatic compressor sound has been added. – This vehicle now has a single checkbox for changing all tires at once. – – A new pit command, “#t” has also been added for toggling all tires at once. – Idling fuel consumption has been reduced. – Pit limiter sound levels have been reduced. – – The Dallara F3 is now available for purchase and use on the track! – – – The Dallara F3 car is raced in one of the most successful racing series in the world, Formula 3. It’s a development series for up and coming drivers in Europe, the United States, Asia and Australia and has seen many a high profile driver move to the top ranks of open wheel racing in Formula One and IndyCar. Raced in spec series, the F3 car was designed for young drivers to move their way up through the ranks of open wheel racing. Racing an F3 car is often the first venture into professional level racing for young amateurs. – Gear shift sounds have been improved and the pit limiter sound levels have been reduced. – Season setups have been updated. – (ALL) – The damage model has been adjusted to reduce performance losses from side and rear impacts slightly. – (PRO & SUPER) – Season setups have been updated. – Driveline losses have been adjusted to tame wheel stands at Kokomo. – (360) – Season setups have been updated. – Removed a duplicate brake bias bar that appeared when the brake bias bar was rotated. – 2019 Season 1 GTE BoP: Engine torque and downforce have been increased slightly. – Garage layout and notes have been updated. – – The Formula Renault 3.5 is now available for purchase and use on the track! – – – The (much) bigger brother of the Formula Renault 2.0, the FR3.5 is the perfect fit in the iRacing open wheel ladder system. The open cockpit, V8 powered cars, were traditionally a stepping stone for many drivers who were pursuing careers in Formula One. Featuring a spec chassis and spec motor, the cars allowed drivers to showcase their skills and hopefully get noticed by a Formula One team. The normally aspirated V8 motors produce 530 bhp and the large wings, both front and rear, provide large amounts of downforce and grip. Some say the FR3.5 sounds like a Formula One car should, or at least used to, before they moved to the turbo/hybrid power units. – Removed the front anti-roll bar pre-load adjustment option from the Garage options. – Camber adjustment limits have been reduced. – Rev override is now adjustable in the garage. – Fixed issues with rear camber limit, and shock installation stiffness. – Fixed an issue where the ignition switch was not appearing correctly when the ignition was turned on. – Tires will now correctly disappear when changed during a pitstop. – 2019 Season 1 LMP1 BoP Changes: MGU-H harvesting rate has been slightly reduced to balance the LMP1 cars on tracks with long straightaways. – Radical logos have been updated. – Maximum front spring stiffness range has been increased to 2500 lb/in to help at high load tracks. – Fixed an issue with install stiffness. – Standing start rev limit has been set to 12k RPM in N and 1st gear, just like the real car. – (Rallycross Long) – Tire barriers have been added to this configuration to prevent gaining time by driving through the grass around the jump. – (Rallycross Long) – Adjusted the levels of compact and loose dirt in the starting area, and fixed an issue with the 3rd place starting grid position. – – Charlotte Motor Speedway, a newly updated asphalt oval and road track, has been granted to all iRacing Members for FREE! – – Additional track configurations are planned for release at a later date. – – The Charlotte Motor Speedway built a new infield road course, designed specifically for NASCAR competition, in 2018. It utilizes nearly all of the 1.5 mile oval as well as newly built infield portion, thus the name Roval (Road/Oval). The Roval configuration is a 17-turn, 2.28 mile track that challenges the best of drivers and team. Car setups are typically compromises, a car good on the oval may not be so good in the infield and vice versa so drivers and crew chiefs have to decide what matters most to them. Two chicanes, one on the back straight and one just before the start finish line, make for some exciting passing opportunities as competitors can attempt to out brake each other. The Charlotte Roval is a unique infield road course that has already proven to be an exciting venue since its NASCAR debut in 2018. – This track has been added to the default iRacing content, and is now FREE for all iRacing Members! – The track formerly known as Charlotte Motor Speedway has been renamed Charlotte Motor Speedway – 2016 to make room for the updated version of this real-world track location. – Night lighting has been fully implemented at this track! – – Now, when this track is selected to run at Night, or the new Day/Night & Time of Day system transitions to or from night, all track lights, reflectors, and environment lighting will work correctly and seamlessly! – Several terrain seams have been fixed. – (IndyCar Oval) – Pit stall positions have been shifted slightly. – – Tsukuba Circuit, a brand new asphalt road track, has been granted to all iRacing Members for FREE! – – Tsukuba Circuit, located in Japan, was built in 1970 and is known for hosting sports car, open wheel and motorcycle races – and most notably Time Attack competitions. There are two main configurations, Course 1000 and Course 2000, with multiple variations of both. This makes the track a perfect fit for the iRacing base package as it can be used in multiple series without becoming repetitive. Course 2000 is just over 2 KM in length and features 14 turns. Course 1000 is approximately 1 KM and has 11 turns. While the two main configurations share the same facilities, they are completely independent of each other and don’t share any racing surface. The tracks proximity to Tokyo, Japan has made it extremely popular with local car tuners who compete in Time Attack competitions. Expect to see Tsukuba Circuit feature in both race series and time attack competitions on iRacing.